HÀ NỘI — Many foreign giants have invested in Việt Nam’s leading e-commerce platforms even as they incur big losses, as they continue to see the long-term potential of the country’s rapidly expanding online shopping sector. With all the ingredients for a thriving e-commerce economy – a young population, rising disposable incomes and growing internet and mobile adoption – the Vietnamese e-commerce market is expected to maintain an annual growth rate of 25 per cent to reach US$10 billion in the next four years, according to the Việt Nam E-commerce and Information Technology Agency (Vecita) under the Ministry of Industry and Trade. 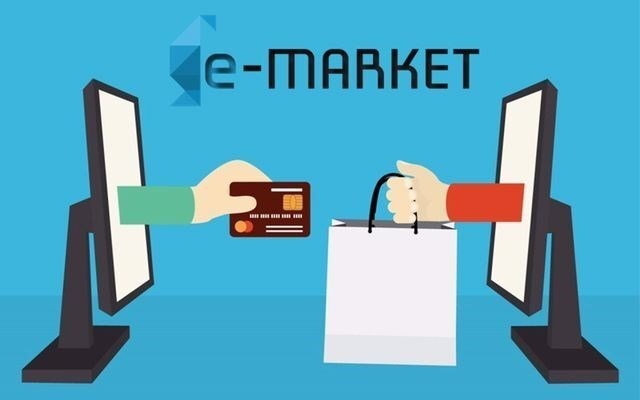 However, the Vietnamese e-commerce market is still in an early stage of development, so it poses major challenges to players. According to industry insiders, companies need to pump significant funds into their e-commerce business to carry out tasks from sales and marketing to warehousing and logistics, so profits are easily eaten up. Also, many platforms suffered losses from special discount offers and promotion campaigns to snag new customers. E-commerce companies have spent aggressively to gain market share, intensifying the competition and the short-term losses, cafef.vn reported. Despite a loss of VNĐ164 billion (US$7.1 million) in 2016 and more than VNĐ600 billion last year, Shopee has continously received more than VNĐ1.2 trillion in investment from its parent company, Singapore’s Sea Limited (Sea), in the first half of this year. Shopee has pumped money into promoting its platform with plenty of discounts, free nationwide shipping service, training for sellers and other promotions. After suffering a loss of some VNĐ600 billion in 2017, Tiki got additional investment of some $50 million from China’s second largest e-commerce group JD.com and some other investors early this year. Tiki has also planned to call for more investment worth some $50-100 million next year, which JD.com will continue to take part in. The JD.com investment can be considered a move to race with Alibaba in Việt Nam’s e-commerce market after Alibaba acquired Lazada several years ago. To gain large market share in Việt Nam, Alibaba’s Lazada ran up accumulated losses of more than VNĐ2.7 trillion in 2015 and 2016. With the fiercer competition in the market last year, Lazada’s accumulated loss could reach nearly VNĐ4 trillion when all the accounting for 2017 is complete, cafef.vn reported. According to trade expert Vũ Vinh Phú, foreign investors are continuing to increase their presence in Việt Nam’s e-commerce market despite losses, as their current goal is to attract customers, stretching their influence in the market. Nguyễn Mạnh Dũng, head of the Việt Nam and Thailand Office under CyberAgent Ventures, told local media that e-commerce requires a long-term investment, and investors could start to earn profits after five to 10 years of operation. Even Amazon in some markets has only started making a profit after 10 years of investment, according to Dũng. With fierce competition in Việt Nam, it is likely to take e-commerce firms some time before they start reaping the rewards, he added.